Click on the icons below to get to the different sections. I have recently found out that it is possible to find heirloom seeds and unusual varieties on Ebay, the internet auction house. Click on the link to see what some sellers I have bought from have on offer. They might just have what you are looking for. Terre de Semences in association with Association Kokopelli offer a whopping 1400 varieties of certified organic seed. Their astonishing catalogue describes all of these varities, contains colour pictures of many varieties and a lot of background information. It is worth every penny. Also please see their Manifesto for Survival for background information on the company. In 2001/2 all seed packets cost £1.50 Sterling. Saving Plant Genetic Resources - Why? "Seeds are critical to our success as gardeners and farmers. They are compact packages of genetic information and stored food reserves, just waiting for the conditions found in warm, moist soil in order to germinate and create tomatoes, carrots, beans and thousands of other delights out of sunshine, air, water and soil. For most of the last ten thousand years of human history, seed-saving was something nearly everyone practiced, because in order to eat and therefore to survive, it was necessary. The grains and beans which formed the basis of most diets were both seed and food. Grown in large quantities, the best were saved for planting and the rest were eaten. Our ancestors did this each year, generation after generation through the centuries. Variations in climate, soil and techniques from garden to garden and community to community, accumulated through the years, creating the incredible diversity which existed over much of our planet well into this century. These local seeds were integral to life and culture everywhere. Unfortunately, the vast majority of these varieties has disappeared." "Plant Genetic Resources for Food and Agriculture (PGRFA) are the biological basis of world food security and, directly or indirectly, support the livelihoods of every person on Earth." Read about 'Recent policy trends and developments related to the conservation, use and development of genetic resources' and on 'Intellectual Property Rights and Plant Genetic Resources' as published by the International Plant Genetic Resources Institute. Jeremy Cherfas of Future Foods publishes the magazine LeafLET on-line. 'Everything not permitted is forbidden' outlines how EU legislation has led to tremendous losses of agricultural/horticultural biodiversity. Read Amy Knutson's excellent article "Why Grow Open-Pollinated or Heirloom Plants?" For the German speaker here's a similar article "Verbotene Fr�chte", based on a visit to an heirloom garden in northern Germany, an article on organic seed "Das Brot von morgen" and an interesting article on the legendary Vavilov Institute in Russia where a number of scientists starved to death while guarding samples of grain varieties in the institute's seed bank during the German siege of Leningrad in WWII. The Genetic Resources Action International (GRAIN) is an international non-governmental organisation, established in 1990, to help further a global movement of popular action against one of the world's most pervasive threats to world food and livelihood security: genetic erosion. The loss of biological diversity, particularly in the "gene rich" countries of the Third World, undermines the very sense of sustainable agriculture as it destroys choices for the future and robs people of a key resource base for survival. Genetic erosion is more than just the loss of genes. It is the loss of of options for development. GRAIN is registered in Spain as an international, non-profit foundation. It has offices in Barcelona and in Los Ba�os, the Philippines. A wholly autonomous organisation, GRAIN is financed by grants from NGOs, governments and intergovernmental organisations. GRAIN's programme of work is currently implemented by a team of eight people, representing different nationalities and experiences. The organisation is governed by a Board composed of dedicated individuals - scientists, grassroots field workers, development NGOs and policy makers - acting in their personal capacity. The GRAIN website also comes in a Versi�n en espa�ol and a Version fran�aise. GRAIN's newsletter "Seedling" can be accessed through the website. GRAIN also publishes the irregular e-mail newsletter BIO-IPR. Its purpose is to circulate information about recent developments in the field of intellectual property rights related to biodiversity & associated knowledge. BIO-IPR is a strictly non-commercial and educational service for nonprofit organisations and individuals active in the struggle against IPRs on life. Information on and insights into the world seed industry can be found at World Seed info. The site covers international laws, conferences, issues relating to IPR (Intellectual Property Rights), seed trade and certification, biodiversity, biotechnology, statistics, publications and Internet links. In order to ensure varietal purity and to avoid inbreeding depression when saving seed one needs to have some idea of botany and genetics. See this excellent practical guide on Genetics for Seedsavers for details. The same website by Tom Clothier has loads of information on seed germination, taxonomy, seed viability, seed trading etc. on this page. A short "FAQ Regarding Seeds" is provided by Travis Saling. Also check out the books section on this site. Aleta Anderson of the Abundant Life Seed Foundation writes on varietal isolation and Kent Whealy of Seed Savers Exchange talks about Rescuing Traditional Food Crops. Click on the link for another good site on saving, storing and growing seed. A short introduction to saving seed by J.E. Ells of Colorado State University Cooperative Extension (vegetable crop specialist). The Official Seed Starting Home Page (Flowers, vegetables, herbs). Ben Watson wrote an excellent article on the subject of open-pollinated and hybrid varieties including a non-technical explanation of cross-pollination issues for National Gardening. The Canadian internet gardening resource site I Can Garden includes a good collection of seed-related articles. Discuss seed-saving with other gardeners, farmers and growers. Join Lawrence London's seed-saving mailing list. To sign up to the Heirloom Gardening Mailing List click on the link or discuss heirloom varieties on the GardenWeb Heirloom Plants and Gardens Forum. In order to save them you have to grow them: The Oregon State University has an excellent guide to commercial vegetable cultivation which is also useful to the smaller grower. Furthermore, there is a very long list of vegetable seed suppliers in the US and a link to Seed Quest, an information service for seed professionals which contains listings of seed companies by crop. Another good site on vegetable crops and their production is the course outline "Hort 410 - Vegetable Production" published by Purdue University, Indiana, USA. Where did agriculture originate and when? Where did our major crops originate? How were plants modified as a consequence of cultivation? The University of California provides an on-line tutorial on the "Evolution of Crop Plants" free for personal use. Other courses deal with the "Conservation of Plant Genetic Resources" and "Plant Breeding" but appear not to be online. A useful meta-resource is the Internet Directory for Botany Part of this Directory is the huge link collection on Economic Botany and Ethnobotany with links on crops, ethnobotany, herbal medicine, plant pathology, poisons, and weeds. The Crop Index of the Center for New Crops and Plant Products of Purdue University, Indiana, USA provides a very comprehensive list of scientific and common names of crops giving access to crop profiles and scientific articles on crops of all sorts. Don't be put off by the name 'new' as virtually everything including many old neglected and unusual crops are included. Click on the link for the New Crop Resource Online Program. Search the very informative and easy to use Plants for a Future Database for information on over 7000 species of edible and other useful plants. The California Rare Fruit Growers, Inc. maintain a database of 250 rare and unusual edible plants as well as Fruit List, a listing of fruit cultural data, arranged by scientific name, containing temperature limits and information on soil conditions for over 700 individual fruits. There is also a listing of over 1,000 fruits by their common names. CRFG also run a seed bank (members only) and publish a magazine. The Germplasm Resources Information Network (GRIN) web server provides germplasm information about plants, animals, microbes and invertebrates within the National Genetic Resources Program of the U.S. Department of Agriculture's (USDA) Agricultural Research Service (ARS). Grin taxonomic data provide the structure and nomenclature for the accessions of the National Plant Germplasm System (NPGS). Many plants (35,000 taxa, 13,000 genera) are included in GRIN taxonomy, especially economic plants. See: World Economic Plants in GRIN. Dave M. Ford's Seed Exchange Mailing List: "The purpose of the Seed Exchange Network is to allow those of us who garden as a hobby to find and exchange seeds that we either want or have excess of." To subscribe send a blank email with the word SUBSCRIBE in the subject line to seeds@bigfoot.com. Zaxie Seed Traders - a place where you can trade seeds with other gardeners from all over the world for free. Also contains a template for seed envelopes and lots of gardening info. Seed Swap Club at Seedman.com. Click on "Click here to see list of members" to access the listings. HomeArts Seed Swap, a swap page from the publishers of Good Housekeeping and Country Living magazines. Permaculture Seed and Plant Exchange. Attn: Joe Hollis, Mountain Gardens, 3020 White Oak creek Rd., Burnsville, NC 28714 USA - Katuah Bioregion. -- specializes in useful self-seeding and perennial species. ($7/Yr.) Now online? (TX) Seeds of Texas Seed Exchange, a non-profit, membership-based seed trading organization which welcomes the participation of all gardeners and native plant collectors (one needn't offer seeds in the Exchange to be eligible to join, but you must be a member to order seeds through the Exchange). @man's Seed Swap/Seed Trade/Seed Exchange - huge list, all organically grown. Tom Clothier's Seed Trading List - mostly annual and perennial flowers; links to lots of photographs. Illinois. Gary Cowan's seed exchange and urban gardening site. Oklahoma. "Zaratrusta Undergound" Seed Exchange in Spain. The name says it all. Seed Trading List - mostly flowers. Bjoern Malkmus provides information on swapping and ordering seeds and plants,including many species from the Canary Islands, Spain and other rare and unusual tropicals/hardy plants/bulbs. Cathy Czapla's Seeds to Share, flowers and vegetables, hand-collected from own small organic garden or, if wildflowers, from nearby fields. (MI) Home Grown Exchange, 16428 Woodstock, Macomb, MI 48044 -- Membership $12/year --monthly issues of a newsletter which includes articles and letters from seed savers as well as a seed exchange listing; send $2 for a sample copy or a send a listing of seeds you will offer for exchange and get a free copy. The Irish Seed Savers Association is a voluntary organisation dedicated to the location and preservation of traditional varieties of fruit and vegetables. The ISSA maintains a seed bank which distributes seeds of non-commercially available vegetables, including heritage potatoes. They have put together an incredible collection of more than 120 old Irish apple varieties which were first offered for sale (grafted to order) in 1999, and they are running a Heritage Grain Project (24 varieties) in Co. Wexford. The Flower & Herb Exchange, 3076 North Winn Road, Decorah IA 52101; Phone 319-382-5990; Fax 319-382-5872 Membership is $10 in the US, $12 in Canada and Mexico, $15 other international. The Henry Doubleday Research Association HDRA, Britain's Premier organic gardening organisation, maintains the Heritage Seed Library of endangered vegetables containing over 700 varieties of interesting and traditional vegetables that can't legally be traded in Europe. These seeds cannot be purchased but Members of the Library can receive free seed packets each year. Projekt LAV, A-8385 M�hlgraben 46. They had an impressive list of heirloom varieties and unusual edibles and other useful plants in 1998. Don't seem to be online at present. The seeds cannot be legally traded in Europe. LAV is asking for modesty, reimbursement of postage and, if possible, a small donation to the project. Pro Specie Rara is a Swiss NGO, founded in 1982, which aims at preserving as many agricultural/horticultural plant varieties and domestic animal breeds as possible. They have five part-time employees who co-ordinate projects with the bulk of the actual preservation work carried out by more than 1000 private volunteers. Finance is practically raised entirely from private donations. Pro Specie Rara is constanty looking for custodians of plant varieties. Contact them at Pro Specie Rara-Sekretariat, Engelgasse 12a, CH-9000 St.Gallen, Switzerland, Fax +41-71-223 74 01. Their website contains a 'Variety finder' searchable database "Sortenfinder" for vegetables, grains, fruit (with pictures of apple varieties). Seeds of Diversity Canada - Canada's Heritage Seed-Saving Network, a non-profit group of gardeners from coast to coast who save seeds from rare and unusual garden plants for the purpose of preserving the varieties - a living gene bank. (OR) Abundant Life Seed Foundation is a non-profit organisation dedicated to the preservation of genetic diversity. They acquire, preserve and distribute open-pollinated seeds, with an emphasis on heirloom vegetables, medicinal herbs, and Pacific NW natives. They also provide education on cultivation and seedsaving and run the World Seed Fund which uses donations to send out seeds to struggling farmers in South America, to urban garden projects, schools and rehabilitation projects. The project will purchase a 101 acre site in California, the Horse Creek Farm, in November 1999 in order to create a working, sustainable seed farm. For contributions and detailed information, please contact the Horse Creek Seed Sanctuary. (IA) Seed Saver's Exchange 3076 N. Winn Rd. Decorah, IA 52101 (319)382-5990 fax (319)382-5872 free; publishes a Garden Seed Inventory periodically which contains information on substantially all heirloom/OP varieties of vegetables offered in North America over the past 15 years or so, including all known seed houses still offering them. They also have a Fruit, Nut and Berry inventory that covers those classes of edibles. The Garden Seed Inventory is invaluable for determining if a variety is OP or not and if so, where to find it. The latest edition consists of 803+ pages of the names and describtions of open-pollinated plants. It also lists commercial sources in both the US and Canada. The softcover edition is $26 plus $3 shipping to US addresses. Shipping overseas is c. $9. A hardcover edition is available too for $32. The Eastern Native Seed Conservancy concerned with saving especially the varieties native to this country. They have a participant growers program where you can grow a certain variety and send them the seeds to help in their efforts. Another list of seed sources. FYI, Chase Organics, Suffolk Herbs, Kings Seeds & Tamar (& no doubt others) are all in fact supplied by Kings Of Kelvedon, seems the only difference is in packaging, marketing strategies & prices!!! (eg, Suffolk Herbs have a nice high production value, colour catalogue with tasteful water colours of the plants, etc- Tamar are far more basic & so are their prices). Suffolk Herbs are now owned by Kings - Kings are a major supplier to the UK seed market, however there are others, Thomas Etty, for instance also gets seeds from French and Italian suppliers. DT Brown in the UK: An old established company enjoying an impressive revival with an excellent choice of modern and traditional varieties. Their Heritage range includes many heirloom varieties incluing striped zinnias, striped French marigolds, dark-leaved nasturtiums and other varieties usually unavailable elsewhere. Their vegetable range is also one of the best in the UK, with some modern F1 hybrid vegetables as well as heirlooms like the pink and white flowered 'Painted Lady' climbing bean. The catalogue includes plants and seedlings which cannot be sent overseas. DT Brown also publish an excellent trade catalogue, specifically aimed at smaller commercial growers. --> Ordering British Seed from the USA: A number of British seed companies will supply seed to gardeners in the USA. American gardeners will find varieties of seed raised plants in British mail order seed catalogues which are not available in the USA; some will be heirloom varieties which have been kept going in Europe or recently reintroduced, others will be new varieties which have not yet been listed in American catalogues. Mr Fothergill's Seeds: One of Britain's newer seed companies but one which lists many unusual varieties in its two seed catalogues, the general catalogue and the enthusiasts' catalogue. Both catalogues include a number of excellent nineteenth century heirlooms, as well as modern varieties in single colours where most companies offer only mixtures. Webpage? Chiltern Seeds specialises in annuals and bedding plants in separate colours along with many unusual botanical items ranging from cacti and palms to trees and vines. E-mail only. Seeds-by-Size sells vegetables, herbs and flowers, including many unusual annuals and many single colours reputedly available to home gardeners from no other company - anywhere in the world. Thompson & Morgan offer a comprehensive list of seeds, including thousands of varieties of flowers and vegetables. Their site includes catalogues for USA and Worldwide Sales, both wholesale and retail. They also have a catalogue specialising in young plants for sale only to the United Kingdom. Their seed catalogues (available from 1st August 1999) include thousands of varieties and are fully indexed and searchable. Herbiseed (Weeds of the world), The Nurseries, Billingbear Park, Wokingham, Berkshire, RG40 5RY, UK. Tel : UK-01344 425586. Good source for hard to find weed and wild plant seeds. Nicky's Mail Order Flower Seeds Worldwide. On-line seed store for the amateur and professional gardener. Seeds for bedding plants, hanging baskets, house plants, containers, patio and rockeries. Some F1 varieties but also lots of open-pollinated varieties. 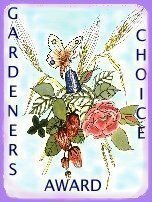 (BC) The Virtual Gardener Inc. Heirloom Seed Collection. The Oregon State Univeristy keeps a list of vegetable seed suppliers in the US and a link to Seed Quest, an information service for seed professionals which contains listings of seed companies by crop. Another list of seed suppliers in the US can be found here. Southern Exposure Seed Exchange Home Page Although they emphasize varieties adapted to the Mid-Atlantic region, they serve gardeners throughout the United States and Canada. A large percentage of the seed and bulb varieties they offer are grown by themselves or their growers. They are family-owned and operated. Much of their seed is organically grown. All their seed is free of chemical treatment and they do not offer genetically engineered varieties. They grow at least 40% of their own seed and offer over 550 varieties of open-pollinated, heirloom, and traditional varieties of vegetables, flowers, and herbs; large selection of garlic cultivars and rare perennial onions. Also included are books, gardening supplies, and seed-saving supplies and information. (CA) Bountiful Gardens: Vegetables, herbs, grains and green manure seeds, all open-pollinated and untreated. (ID) High Altitude Gardens, a bio-regional seed company selling varieties adapted to cold, short seasons. All are tested in their gardens at 6,000 ft. 180 varieties of open-pollinated, untreated vegetable seeds. Some organic seed. Also wildflowers, herbs, grasses. (ID) Seeds Bl�m, HC33, Idaho City Stage Boise, ID 83706. Catalogue $3. Specialise in heirloom, open-pollinated seeds. Old House Gardens - Heirloom Flower Bulbs. Scott Kunst of OHG also provides a "Source List for Historic Ornamentals" in the US (send SASE and $1 to OHG, 536 Third St., Ann Arbor, MI 48103-4957, USA). (OR) Victory Seeds. Over 140 open-pollinated or heirloom vegetable and herb seed varieties. "http://www.olympus.net/insidepassage/">Inside Passage - specialty seed service, featuring native and naturalized flora of the coastal Cascadian Bioregion (Northwestern North America) and also offering relevant publications and consulting services. (CA) J.L. Hudson, Seedsman Ethnobotanical Catalogue of Seeds Star Route 2, Box 337 La Honda CA 94020 $1.00 Quirky, but dedicated and knowedgeable to a fault. Incredibly detailed listing. (ME) Fedco POB 520 Waterville, ME 04903 (207) 873-7333 fax (203)872-8317 free, Best prices, generous packets, volume discounts, free shipping. Besides, they quote Walt Whitman throughout, what better endorsement do you need? (AZ) Native Seeds/SEARCH nss@azstarnet.com 526 N 4th Ave Tuscon AZ 85705 $1.00 Fascinating reading, tribal info., rare seeds, Desert Foods for Diabetes Control, tepary beans, sorghums. or http://www.desert.net/seeds/home.htm preserves southwestern Native American seeds. (IA) Sand Hill Preservation Center 1878 230th St Calamus IA 52729-9659 319-246-2299 (business hours) - specializing in heirloom open-pollinated seeds, sweet potato slips and rare poultry breeds. This is an excellent source of op corn, squash and tomatoes. They personally grow out over 2,000 varieties of heirlooms; family run. (MO) Baker Creek Heirloom Seeds sell only open-pollinated varieties with an emphasis on heirlooms (seeds and plants, the latter only within the US). Their small but informative catalogue includes a book list and other useful info. Contact Jeremiath C. Gettle for a catalogue or check their website. (ME) Johnny's Selected Seeds, Foss Hill Rd. Albion, ME 04910-9731; Free catalog. (FL) Tomato Growers Supply, P.O. Box 2237, Ft. Myers, FL 33902. (GA) Flowery Branch Seed Company PO Box 1330 Flowery Branch, GA 30542 Phone: (770) 536-8380 - Flowery Branch Seed Company in Flowery Branch, Georgia is a superb source of seed for those of us who are addicted to growing old-fashioned and uncommon flowering garden plants. don't concentrate exclusively in heirlooms they list almost no F1 hybrid bedding plants. (ME) Pinetree Seeds Box 300, New Gloucester, ME 04260; Free catalog. Burpee Seeds and Plants Special section on heirloom vegetables and flowers. Cannot ship any orders outside the continental U.S.
(ME) Wood Prairie Farm: Seed potatoes; Tel. US (800) 829-9765 Albion, ME 04910-9731. Free catalogue. (VA) Burford Brothers (Antique Apples & Other Fruit), Route 1, Monroe, VA 24574; $2 for catalog. (TX) Antique Rose Emporium, 9300 Lueckenmeyer Rd., Brenham, TX 77833-6453, (800) 441-0002; Catalogue is $5, which is deductable from first order. (OR) Heirloom Old Garden Roses, 24062 N.E. Riverside Dr., St. Paul, OR 97137, Catalogue is $5. (OR) Virtual Seeds: extensive on-line seed catalog, including heirloom varieties and a search engine that lets you look for plant varieties on the Web by plant name! Postal catalogue available as well. (WA) The Rock Garden, small listing of mostly vegetables and herbs (all open-pollinated). (MA) GardenMakers - The Seed Source, specializes in unusual and hard-to-find flower seed. Their selection features alpines, woodland plants, ornamental grasses and primulas. (PA) The Bethlehem Seed Company specializes in colorful varieties that can be used to accent an edible landscaping design (vegetables, flowers and herbs). (MN) Matthew's Old Time Seed List: Pre-20th Century & Traditional Vegetables. (MS) Seedman.com - Exotic Plant and Garden Seed Catalog. Retail and wholesale. Special section on Heirloom/Open Pollinated Garden Vegetable Seeds. Free Seed Swap Club. Click on "click here to see list of members" to access the listings. Millenium Seeds: Non-hybrid vegetables, fruit and herbs. (NM) Seeds Unique 1125 Barboa Ct., Belen, New Mexico 87002, USA. Flowers, vegetables, trees, decorative plants, cacti. (PA) Heirloom Seeds: old-time vegetable, flower and herb seeds (all seeds are non-hybrid). P. O. Box 245 W. Elizabeth PA 15088-0245. Catalogue $1. Bliss Partnership: 28 O'Connell Street, Tamworth, 2340, Australia. The Irish Organic Trust has compiled an inventory of suppliers of certified organic seed (Europe & USA). Chase Organics (Great Britain) Ltd. Despite the name only a small (but growing) section of the seed Chase is selling is actually certified organic. All of the organic varieties I have tried (lettuces, radishes, onions) have grown exceptionally well here in the West of Ireland, where Chase's seeds are sold by Deelish Garden Centre, Skibberreen, Co. Cork. DT Brown in the UK sell an expanding range of organic vegetable seed (Soil Association Organic Standard). Future Foods: Weird and wonderful things for the edible garden. Future Foods is a small, independent supplier of edible plants in Wedmore / Summerset. They are dedicated to back-garden biodiversity, seeking out old and forgotten varieties while at the same time looking for new things for the edible garden. Future Foods is not certified organic. Only some of their seeds are certified, but most are grown in accordance with organic principles. Graines Baumaux offer a small seletion of certified organic vegetables seed for the first time in 1999. Biologisches Saatgut Check Marketplace, Seed. The link contains 2 Excel files for downloading, one for vegetable/herbs and one for grain, potatoes etc. Sources are given for each crop. Ferme de Sainte Marthe, c/o Ulla Grall, B�reneck 4 / Efeuhaus, D- 55288 Armsheim, Tel 06734-960379, Fax 960014. Germany. Beautiful catalogue with lots of rare and forgotten vegetable varities with a particularly large assortment of tomatoes and cucurbits (pumkins, squash etc). Some herbs and flowers. All certified organic. 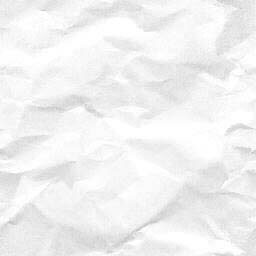 Website online since late January 2000. Ferme de Sainte Marthe, BP 10, 41700 Cour-cheverny, France. Certifi� Agriculture Biologique. Ferme de Sainte Marthe, St Marthe PO Box 358 Walton, Surrey KT12 4YX. (Tel: 01932 266630.) A seed catalogue which supplies organic seeds of rare and forgotten vegetable varieties. Terry Klokleid of Amblewood Organic Farm in British Columbia sells organic vegetable and herb seeds and seedlings. (BC) Aurora Biodynamic Farm 3492 Phillips Road, Creston, BC V0B 1G2, 250-428-4404. A family run business located on 31 acres in the heart of the Kootenay River Valley in southeastern British Columbia. All seeds are open-pollinated (non-hybrid), untreated and grown in accordance with biodynamic farming principles. The Natural Gardening Company is a certified organic nursery in the US selling vegetable, herb and flower seeds as well as beneficial insects, drip irrigation, composting equipment, tools and wildflower seeds. (OR) Sow Organic Seed Co. sell a good range of vegetable, herb and flower seeds, including many heirloom varieties - all grown on their own farm. Certified by the "Oregon Tilth Certified" programme and recognized by the States of Oregon and California. (NM) Seeds of Change P.O. Box 15700, Santa Fe, NM 001-888-762-7333 toll-free; Free catalog. More than 1500 varieties plus bulbs and perennials. Currently ship only w/i US and Canada. Certified by the "Oregon Tilth Certified" programme. Great website! (OR) Horizon Herbs Strictly Medicinal POB 69 Williams OR 97544 Tel. US (541)846-6704, Fax (541)846-6233 Catalogue $2.00. A family run business, and more delightful folks than most! A bible of herb information. Herb seeds and live roots, certified organically grown or wild-harvested. (OR) Nichols Garden Nursery, 1190 N. Pacific Hwy., Albany, OR 97321-4598. (OR) Territorial Seed Company (Oregon) Another good source for organic, open-pollinated seeds, including heirloom and/or traditional varieties. There is an on-line catalog that includes tools and supplies, and somewhat of a focus on varieties adapted to the general Pacific Nortwest (USA/Canada) climate. (WA) Ronniger's Seed Potaotes, a small and family run business, offers an incredible selection of potatoes as well as some other tubers/bulbs like sunchokes, onions, and garlic along with some books and tools. They are known for excellent service. Organic, disease free, etc. They also encourage growers to save their own seed potatoes from year to year if you grow in disease-free soil. Their address is now Ronniger's Seed Potatoes PO Box 1838 18705 188th Street East Orting, WA 98360, 360-893-8782 , 360-893-3492 Fax. (MI) Southmeadow Fruit Gardens, Box SM, Lakeside, MI 49116 (616) 469-2865 Offering scores of historic fruit varieties, particularly apples. Greenpatch Organic Seeds: P.O. Box 1285, Taree, NSW 2430, Australia. Eden Seeds: Mail order and catalogue from, "Eden Seeds, M.S. 316, 21a Sandy Creek Road Gympie, Queensland, 4570, Australia. They only sell organic, non hybrid traditional, open pollinated seeds. Free call in Australia Phone and fax, 1800 188 199. The Save Foundation (Safeguard for Agricultural Varieties in Europe) acts as European umbrella organization for the promotion and coordination of activities for the conservation of endangered breeds of domestic animals and cultivated plant varieties in the form of live populations. Collection and dissemination of information as well as coordination and support of national activities are the main focuses. In various countries, national organizations must still be established or expanded. Additionally. enormous tasks present themselves in Eastern and Southeastern Europe where agriculture is experiencing a radical restructuring. Conservation projects are realized primarly on farm. The Genetic Resources Action International (GRAIN) publishes the irregular e-mail newsletter BIO-IPR. Its purpose is to circulate information about recent developments in the field of intellectual property rights related to biodiversity & associated knowledge. BIO-IPR is a strictly non-commercial and educational service for nonprofit organisations and individuals active in the struggle against IPRs on life. Detailed information on the FAO's work on Plant Genetic Resources for Food and Agriculture can be found here. FAO have assembled 154 Country Reports on Plant Genetic Resources which provide information on indigenous plant genetic resources and related conservation and utilization activities, including reviews of the agricultural systems of each country. Directory of Community legislation in force: Seeds and seedlings; also available in all other official EU languages. DG VI - Standing Committee on seeds and propagating material for agriculture, horticulture and forestry pdf files of minutes of committee meetings (Acrobat Reader required). DG VI activities:Genetic resources in agriculture - The site provides information on Regulation (EC) No 1467/94 on the conservation, the characterization, the collection and the utilization of genetic resources in agriculture. International Plant Genetic Resources Institute - European Section. See also their downloadable information resources on policy, PGR, IPR, genebanks, genetics etc. The Plant Genetic Resources Newsletter from IPGRI, Issue #118, pp. 38-50 contains an article titled "Internationally available information sources for the development of in situ conservation strategies for wild species useful for food an agriculture", which lists 50+ URLs (including detailed descriptions). The Baden-W�rttemberg section of the German Nature Conservancy (NABU-Naturschutzbund Deutschland) is currently running the "Projekt Kulturpflanzenvielfalt" (Crop Plant Diversity Project), March 1999 - March 2000, an interesting initiative supported by the EU Commission, with partners in Germany, Austria, Switzerland, the Netherlands, Sweden and Finland. There are still a number of events and workshops during September as well upcoming national and international conferences. The website is also available in English. The UK Agricultural Biodiversity Coalition (UKabc) an activity of the UK Food Group. Bringing together Public Interest UK organisations concerned with Sustainable Use, Conservation, Benefit Sharing, Trade, Patents, Intellectual Property, Biopiracy, Biotechnology, Genetic Engineering, Biosafety and other issues related to the Equitable Use of Agricultural Biodiversity for Local Food and Livelihood Security. The Henry Doubleday Research Association HDRA, Britain's Premier organic gardening organisation, maintains the Heritage Seed Library of endangered vegetables containing over 700 varieties of interesting and traditional vegetables that can't legally be traded in Europe. Many are family heirlooms nurtured from generation to generation; others were once commercial varieties, now no longer offered by seed companies, the seeds being victims of commercial pressures and draconian European rules. Members of the library are able to receive up to seven packets of free seed each year. These seeds cannot be purchased but Members of the Library can receive free seed packets each year. The Irish Seed Savers Association is a voluntary organisation dedicated to the location and preservation of traditional varieties of fruit and vegetables. The ISSA maintains a seed bank which distributes seeds of non-commercially available vegetables, including heritage potatoes. They have also put together an incredible collection of more than 120 old Irish apple varieties, many of which had been considered lost, and they are running a Heritage Grain Project (24 varieties) in Co. Wexford. Their work is supported by the Irish Heritage Council and Irish universities. Click here for some photographs taken during a visit in October 1999. The Irish Genetic Resources Conservation Trust aims to conserve both wild and domesticated plant and animal genetic resources in Ireland. NGOs in Germany active in the field of in situ and on farm conservation. VEN - Verein zur Erhaltung der Nutzpflanzenvielfalt e.V. ; c/o Ursula Reinhard, Sandbachstrasse 5, D-38162 Schandelah (work predominantly within Germany). Pro Specie Rara is a Swiss NGO, founded in 1982, which aims at preserving as many agricultural/horticultural plant varieties and domestic animal breeds as possible. They have five part-time employees who co-ordinate projects with the bulk of the actual preservation work carried out by more than 1000 private volunteers. Finance is almost entirely raised from private donations. Pro Specie Rara is constanty looking for custodians of plant varieties. Contact them at Pro Specie Rara-Sekretariat, Engelgasse 12a, CH-9000 St.Gallen, Switzerland, Fax +41-71-223 74 01. Their website contains a 'Variety finder' searchable database "Sortenfinder" for vegetables, grains, fruit (with pictures of apple varieties). Centre for Genetic Resources in the Netherlands. Maintains the Dutch genebank for plant genetic resources for food and agriculture. CGN is also involved in in situ/on-farm conservation programmes. CGN supplies seeds of the crops in its collections to any bona fide user anywhere in the world (most users are plantbreeders or scientists). Arche Noah (Gesellschaft zur Erhaltung und Verbreitung der Kulturpflanzenvielfalt), Obere Stra�e 40, A-3553 Schiltern (projects not just in Austria but also elsewhere in Europe, showgarden in Schiltern). National Seed Storage Laboratory (NSSL) - Mai. Rural Advancement Foundation International (RAFI) is an international non-governmental organization headquartered in Winnipeg, Manitoba (Canada) with affiliate offices in Pittsboro, North Carolina (USA). RAFI is dedicated to the conservation and sustainable improvement of agricultural biodiversity, and to the socially responsible development of technologies useful to rural societies. RAFI is concerned about the loss of genetic diversity - especially in agriculture - and about the impact of intellectual property rights on agriculture and world food security. The Farmer Cooperative Genome Project (FCGPATM1L1) is a collaborative effort to return farmers and gardeners to the practices of characterizing and saving seed. With support from the Fund for Rural America, and administered by Oregon Tilth, the FCGP explores the feasibility of a cooperative marketing structure that rewards producers for maintaining the nation's most vital resource base - the seed. The Farmer Cooperative Genome Project is a three year project to assemble a farmer owned seed cooperative. Participants in the effort will learn how to work with the United States* repository of seeds (the National Plant Germplasm System) and other seed resources, learn how to characterize or describe varieties, learn how to grow true seeds, and develop plant varieties for preservation and sale. For more information contact: JJ Haapala at Oregon Tilth. International Seed Saving Institute (ISSI), a nonprofit organization dedicated to seed saving. ISSI, with the support of its members and Seeds Trust, hopes to teach one million Americans and others around the world how to save seeds; and by forming a seed bank, help safeguard the world's decreasing gene pool of open pollinated varieties. United Plant Savers - a non-profit organization whose mission is "...to protect native medicinal plants of the United States and Canada and their native habitat while ensuring an abundant renewable supply of medicinal plants for generations to come." There's a newsletter, an "at risk" plants list, an events calendar, networking opportunities, and information on UPS' first "botanical sanctuary" (in Rutland, Ohio, USA), including an internship program available there. (NJ) Garden State Heirloom Seed Society (GSHSS) P.O. Box 15, Delaware, NJ 07833, Tel: USA 908-475-4861 Attn: Joseph or Roberta Cavanaugh. Membership dues were $10 for 1999. They publish a booklet of articles and news and the seed listings each year. They concentrate on the heirlooms of NJ but accept others as well. If you're interested in tomatoes, this is the place to go, as one member alone has grown out 2,000 varieties. Most seed is obtained from the individual listers, unless a variety is only offered by GSHSS. Members listing seeds pay half of those not listing. Seed generally has to be requested by May 15th or so each year. They also sponser a tomatoe tasting event each year as well as 1 or 2 other programs, mostly in Northern NJ. They also have an ongoing project to reprint old seed catalogs. Heirloom Seed Project, Landis Valley Museum, 2451 Kissel, Hill Rd. Lancaster, PA 17601 717-569-0401. Seedsavers.org - Saving Crop Plant Diversity exists as a means for seed saving producers to find markets, and for consumers of seed saving to find sources. Some of the current and projected facilities of Seedsavers.org are free, and some, to support the ongoing work, are provided for a fee. The Seedsavers Network - Australian seedsaving group. They publish a handbook on growing traditional varieties of food plants, run regular seedsaving workshops and are involved in a number of overseas projects in Zimbabwe, Cambodia, Tonga, Cuba and on the Solomon Islands. The Heritage Seed Curators Australia save seeds from unusual and rare species. Also see their Why Save Seed? general and legal info. The Heritage Fruits Group aims to find, document and conserve old varieties of fruit trees in southeast Australia. The Seed Science and Technology Division, Department of Agronomy, UPLB, College, Laguna, Philippines, helps to promote and develop the local seed industry using the sustainable agriculture framework through seed education, research and extension. In a small village in Uttar Pradesh is a collection of native Indian seeds that would put even a genebank to shame. Vijay Jardhari, a farmer in Chamba in the Garhwal Himalaya has a rare collection of traditional seed varieties which he maintains by cultivating in small plots of land. There is an urgent need to promote more such seed banks writes Indira Khurana at http://www.oneworld.org/cse/html/dtedte981231/dte_grass.htm. The Solomon Islands Planting Materials Network has for the past four years worked directly with rural communities, development aid agencies and government agricultural research and extension organisations to make available the non-hybrid seed of food crops used by village subsistence farmers and has achieved recognition for its pioneering work throughout the South Pacific as well as in Australia. The Maize Page of the Iowa State University, College of Agriculture. A Resource for Students, Producers and Specialists. Ashworth, Suzanne. Seed to Seed (ISBN 0-9613977-7-2) published in 1991. Seed Saver Publications, RR 3 Box 239, Decorah, Iowa 52101, 1991 (my own No. 1 reference book). Also available from the Abundant Life Foundation. The German Language edition is called Saatgutgewinnung im Hausgarten. The Seed Savers Handbook, Grover Books, available from Ecologic Books, 19 maple grove, Bath, BA2 3AF or from the Seedsavers Network. A complete reference for growing, preparing and conserving traditional varieties of food plants. It was written especially for Australian and New Zealand conditions in 1993 by Michel and Jude Fanton, founders of The Seed Savers' Network. Seeds of Texas' Vegetable Seed-Savers Handbook offers a concise, complete introduction to safely and reliably growing, saving, harvesting and storing your own vegetable seeds. Some of the content is available on-line. Seeds of Diversity Canada, formerly "Heritage Seed Program" produced an illustrated booklet (33 pages) that describes how to save your own vegetable seeds. It starts out with the general principles of seed saving, and then gives specific instructions on how to save seeds from each different type of vegetable. An insert with the text translated into French is available. A New Book from Seeds of Change GARDENING FOR THE FUTURE OF THE EARTH - Changing the World from Your Backyard available from Bantam, New Year 2000. Deppe, Carol (1993): Breed Your Own Vegetable Varieties: Popbeans, purple peas, and other innovations from the backyard garden. Little, Brown and Co. Publishers, 303 pp. $18.95 -- layman's guide to breeding techniques and strategies. Bubel, Nancy (1988): The New Seed-Starters Handbook. Rodale Press, 385 pp, $15.95 (more in Canada). -- general text for seed-starting techniques for starting a variety of vegetables, fruits, trees, grains, herbs, etc. Includes 65-page section on seed-saving. Dirr, Michael & Heuser, Charles (1987): The Reference Manual of Woody Plant Propagation: From Seed to Tissue Culture- A practical working guide to the propagation of over 1100 species, varieties and cultivars. Varsity Press, Athens, GA. 239 pgs.-- guide to woody ornamental propagation, including seed handling, treatments, etc. Cutler, Karan Davis (1998): Starting from Seed: The Natural Gardener's Guide to Propagating Plants, Handbook #157, Brooklyn Botanic Garden., 111 pp - according to one reviewer excellent intro to seed saving, more on the Why's than the Hows and great photos! Nabhan, Gary Paul (1989): Enduring Seeds: Native American Agriculture and Wild Plant Conservation, North Point Press, San Francisco. D Wood and J M Lenn� (eds.) (1999): Agrobiodiversity: Characterization, Utilization and Management. Any book or article by Jeremy Rifkin. Shiva, Vandana (1991): Biodiversity, Biotechnology and Profits - in Vandana Shiva et al. Biodiversity: Social and Ecological Perspectives. London. Zed Books Ltd., pp. 43-58. Fertile Ground Books - Farming, Agriculture, Plant Book Specialists (new and used) have a special section for books on seed production etc. which lists some of the titles above. The Redwood City Seed Company contains a gardening books & brochures section with some items of interest to seedsavers. The Catalog & Growing Guide from Southern Exposure Seed Exchange lists a number of seed saving supplies. Larry London's InterGarden, a huge site with everything you ever wanted to know about sustainable farming, organic gardening, permaculture, bioregionalism, homesteading. Highly recommended! The items listed in the table below are from sellers located in the UK. For questions, comments, suggestions for additions, notification of 'dead' links etc. please contact Ute Bohnsack, creator and 'webmistress' of this page, via e-mail. This Friends of the Garden site is owned by Ute Bohnsack. Click here for information about joining this web ring.